RMSA (APSES) is going to start Model schools in English Medium from classes VI to XII in the Educationally Backward Mandals to provide Quality Education. 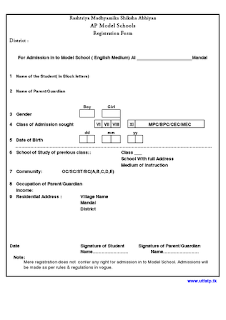 Admissions will be provided in Class VI to VIII and XI (with MPC/BPC/CEC/MEC groups) @80 students per class during 2012-13. In these institutions Education will be provided free of cost. In due course of time Hostel facility will be provided for deserving 100 Girl students in the campus. Registration forms will be made available in all the High Schools, Upper Primary and Primary Schools of the Mandal through Mandal Education Officer of designated Educationally Backward Mandal.. Filled in registration forms will be received upto 23-05-2012 at concerned M.E.O’s Office. 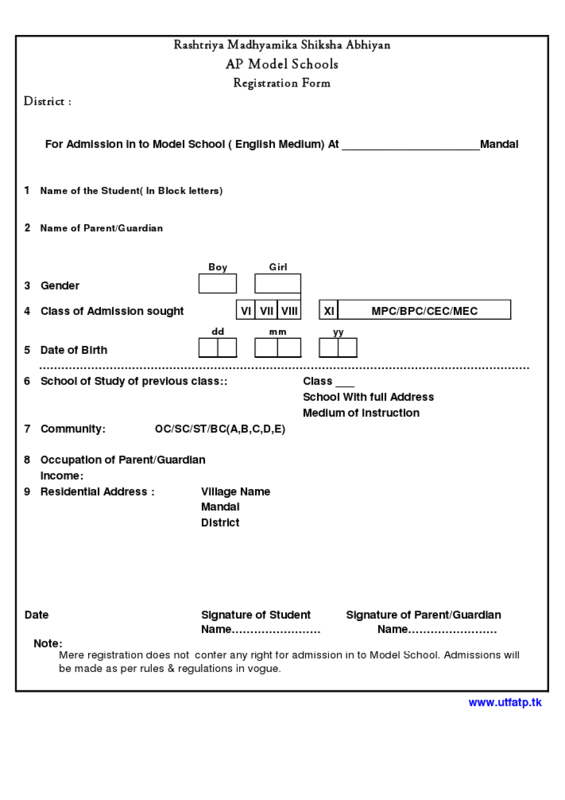 Registrations also can be made on line .For details of places of Model schools and other information visit: http://apms.cgg.gov.in.